Find new levels of wellness with the guidance of certified professionals in a world-class fitness facility. We can help you reach your goals whether you’re living with a chronic disease, recovering from an injury or simply want to live a healthier life. Regardless of your current activity level, we’re here to help you make a lasting, lifestyle change, and our connection to Seven Oaks General Hospital means help is always close by. Achieving life-changing results comes easier when you become part of our community of wellness. We offer group classes and programs that allow you to connect with others with similar goals. We can also recommend one-on-one training and coaching options for added support. Members always start on the right path with advice from an exercise specialist. Join in April, visit 10x in May and earn back your enrollment fee. Details below. Come into the Wellness Institute at 1075 Leila Avenue to join or ask for a facility tour with an exercise specialist. We want members to start off safely and will use this information to personalize your assessments. Depending on your current health and family history you may be offered stress tests, physiotherapy assessments or spirometry tests. An exercise professional will review your personal health information and interests and prescribe a custom exercise program in our Personal Wellness Plan. Book an equipment orientation to have an exercise professional show you how to get started safely on our cardio or resistance machines. Learn more about your body’s makeup like amount and location of fat and muscle, and calories burned while resting (BMR) and imbalances in your body. Additional screenings are available for a fee to help you track changes over time. After three months — or, once per year — you may book a follow-up meeting to assess your progress. Members may waive any or all included assessments. The Wellness Institute is a Certified Medical Fitness Facility,making us uniquely able to accommodate members from a wide range of fitness levels and life stages. To earn our certification, we provide active, regular medical oversight by qualified and credentialed staff, programs for disease management and lifestyle change, individual health screening with exercise prescription, and safety policies with the ability to respond to emergencies. As part of Seven Oaks General Hospital, we value adopting healthy lifestyles above selling memberships. Our focus is on providing support for the lifestyle choices that prevent illness, aid recovery and help manage chronic conditions. Our basic membership package provides full use of the facility during all hours of operation and access to member group fitness classes, gym activities and intramurals. We also offer a household add-on membership, making it easier for wellness to become a family affair. For those not ready for membership, we offer facility access for guests on a drop-in basis. An enrollment fee of $95 is due at the time of joining for all memberships. GST applies to all dues and fees. Full access to the facility during regular business hours. Anyone living at the same address as an individual member qualifies for this rate, with full facility access. In order to qualify for the enrollment reward, you must join during the period of April 1 to April 30, 2019 and have 10 qualifying visits during the period from May 1 to May 31, 2019. A maximum of one visit per day will qualify. For a visit to qualify, the member must swipe their card at the front desk scanner. Qualifying members will receive credit on account in June equal to the enrollment fee paid. Once received, account credits earned through the promotion may be applied to future payments. Account credits have no cash value, are non-refundable and non-transferrable. 4-month, 3-month and 2-month passes are available now. Designed to provide a welcoming environment, our award-winning facility provides the ideal environment for fitness and lifestyle medicine. The building incorporates bright, naturally lit spaces, exposed wood, and natural finishes. Our multi-level facility features a running track, full sized gymnasium, dedicated fitness, yoga, and resistance training studios and a warm therapy pool. Locker rooms are spacious and each feature a member lounge area, whirlpool and sauna. All fitness and exercise equipment is state-of-the-art and carefully selected to meet the exacting requirements set out by our expert staff. Amenities are maintained in top condition. Members are invited to bring a guest to enjoy the facility on certain days throughout the year. Guests will have access to all equipment (excluding the pool) and may attend studio, spinning, and mind & body classes, pending availability. Outside of Guest Days, guests may attend with a reduced drop-in rate if joined by a member. Find out more about attending as a non-member guest. 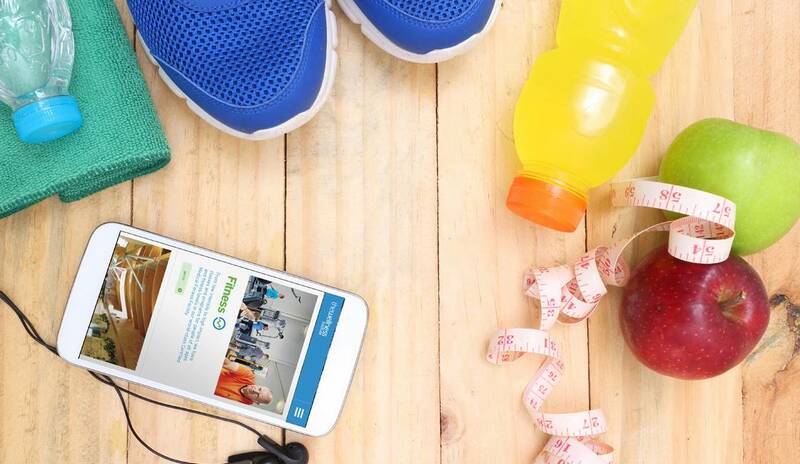 Choose whichever fitness classes fit your personal schedule today. Yoga, sport intramurals, stretch breaks and a range of classes in our fitness studio - from TRX and interval training to basic beginner options - are drop-in friendly. Sign-up at the front desk for cycling and classes in our warm pool. 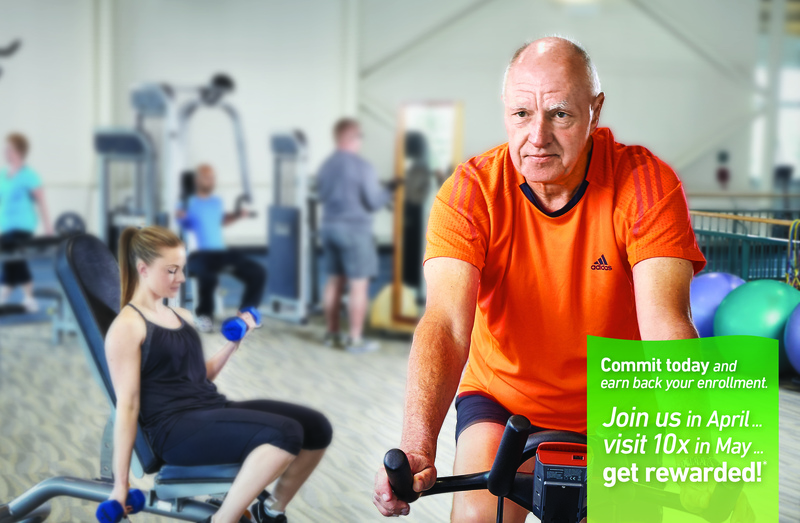 If you prefer to reserve your space, you can register for a selection of fitness programs. Program registration is seasonal. Explore options such as Stott Pilates for mat or reformer, group training, karate, adaptive classes for those with health issues and more. While the best way to experience our facility is in person, photos aren't a bad place to start. If you decide to come in for a free tour, no appointment is needed. Just stop by the front desk and we will call a Wellness Consultant who can show you around and answer your questions. Our Consultants are not sales people, but exercise specialists who provide member support on the floor and through personal wellness plan appointments. In the meantime, we have created a gallery to show the amenities and state-of-the-art equipment you will find here. Use the site to browse weekly classes, book services, register for programs and update your account securely from tablet, phone or desktop or download the app. If you prefer personal service, call 204-632-3900 or visit our front desk. If you already have a member or guest account, contact us at 204-632-3900 or email info@wellnessinstitute.ca for temporary log-in details for your first use. New guests can select “Become a Guest” at our log-in page. Members get discounts on many seasonal fitness programs (look for member rates when registering). Anyone can book with our registered massage therapists, but members get relief and relaxation at a reduced rate. Members also save on Group Training and follow-up InBody Body Composition Analysis appointments.